As the Muslim world deals with the horrific acts of terror perpetrated by Brenton Tarrant from Grafton, NSW, Australia, equally morally reprehensible was that it was livestreamed for promotional gratification. Will history repeat itself? Muslims are all too familiar with the wider ethnic cleansing perpetrated by Bosnian Serb forces between 1992 -1995[ or the Rwandan genocide in April – July 1994 on our African continent which desecrated almost 70% of the Tutsi population. As a Muslim, I am highly incensed, together with every other peace loving and religiously tolerant citizen of the world. Over 1 400 years of Islamic civilisation and its rich religious cultural heritage as a way of life shall continue engendering qualities of submission to the Oneness of the Creator, peace, love, justice and freedom to every human being with open hearts and unveiled minds. The New Zealand Prime Minister, Jacind Ardern has appropriately condemned this horrific act of terror and empathised with bereaved families and wounded of the Christchurch Muslim Community, but it remains our responsibility to be critical of these horrendous acts of terror and ensure the perpetrators are brought to justice. 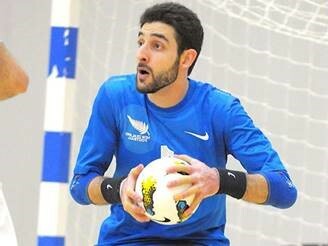 Also reported was New Zealand goalkeeper, Atta Olyan seriously injured being the latest fatality, increasing the death toll to at least 50. 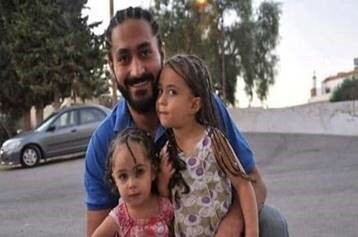 Amongst the seriously wounded are a father – Wasseim Alsati and his 4-year-old daughter, Alen, who were shot at least seven times between them, both of whom are fighting for their lives. The key findings in the Chilicot report [ confirmed there was “no imminent threat and the judgements about the severity of the threat posed by Iraq’s weapons of a mass destruction – WMD – were presented with a certainty that was not justified”. According to ESOC[ and the UN, civilian populations displaced and killed in Afghanistan and Iraq are staggering. These atrocities were perpetrated in the name of sloganizing false flags, like the “War on Terror” and “Weapons of Mass Destruction”, where global arms manufacturers, bankers and financiers remain contributory criminally responsible. The wanton destruction caused to civilian infrastructure, damage in social relations, mental health and overall wellbeing and the environment in these conflict regions shall take many decades to restore for future generations, without any further impediment. In these unlawful cancerous state relations, have been consistently sustained campaigns on all fronts to stigmatise Muslims globally with sustained Islamophobic hate speech and incitement including but not limited to “Islamic Terrorism / Extremism”, “Fundamentalism” and so forth. Global media too share in its complicity by masticating on metaphorical idioms churned out by political rhetoric and nuances by these ignoble architects of grand hate and terror who have fertilised and sustained Islamophobia. Mark Weisbrot, co-director of the Center for Economic and Policy Research alerts to the growing number of countries in latin America amongst others like Brazil, Argentina, Columbia with questionable legitimacy, “having an ideological affinity with Trump” [. Venezuela’s energy crisis is coupled with Trump recognising opposition leader Juan Guaido as the country’s interim president despite 2018 election which gave President Nicolas Maduro a second term. Trumps intolerant conduct and aligning with the ultra – right and despotic regimes under the auspices of strategic regional partnerships also illustrates utter disregard for the rights of minorities and immigrants in the US. The sustained US relationship with apartheid Israel, despite worldwide condemnation and contravention of international law and boni mores of the international community continues being a maligned tumour. 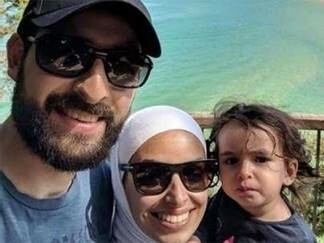 Whilst hard questions concerning gun laws, immigration both for New Zealanders and the world must be reviewed, regrettably it has come at the expense of innocent Muslim worshippers and their bereaved families. It must be said that this tragedy should have been avoided, but for New Zealand’s Authorities gross negligence and failure in taking the necessary safety and security precautions in protecting its citizens and the broader Christchurch Muslim community. 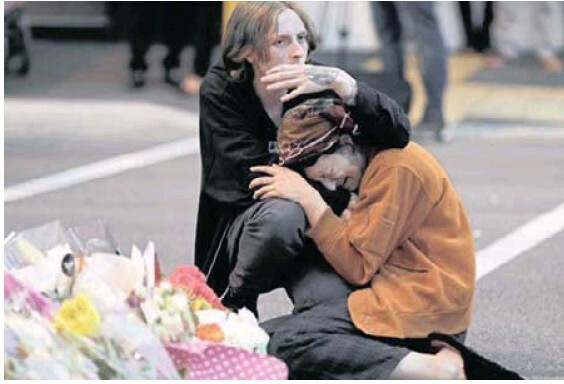 Notably in addressing the media in the aftermath of this massacre the PM, Arden aptly said, the attack reflected “extremist views that have absolutely no place in New Zealand.” Immigrants “have chosen to make New Zealand their home, and it is their home,” the PM, Ardensaid. “They are us.” Also noting that those who perpetrate this crime, “are not of us”. Wiki – Srebrenica in 1995, included the killing of more than 8,000 Bosniak (“Bosnian Muslim”) men and boys, as well as the mass expulsion of another 25,000–30,000 Bosniak civilians, in and around the town of Srebrenica in Bosnia and Herzegovina, committed by units of the Army of the Republika Srpska (VRS) under the command of General Ratko Mladić.